SAN JOSE, Calif., Nov. 27, 2018 /Prexly/ — BabbleLabs™, a speech science company, today unveiled its Clear Cloud™ App, bringing a breakthrough combination of deep learning, speech enhancement and noise reduction technology to Android and iOS users. The app is a new addition to BabbleLabs' Clear Cloud product portfolio, extending product reach to vloggers, podcasters, journalists and consumers seeking high quality speech in audio and video recordings. The Clear Cloud App is immediately available from Google Play or the App Store. Any video or audio recordings captured in noisy indoor and outdoor environments that impact the quality of the speech. See examples of post-production audio and videos at Gabby's Lab. Previously captured video and audio recordings that contain speech that is difficult to understand because of background noise (eg crowds) or medium noise (eg tape hiss, recording clicks). Hear the Greatest Speeches of the 20th Century with improved speech quality using Babblelabs technology at: https://archive.org/details/GreatestSpeechesBabbleLabs/. BabbleLabs is offering up to 250 free audio or 125 free video processing minutes. Download the App today from Google Play or the App Store. Follow us on Twitter: @BabbleLabs, LinkedIn: https://www.linkedin.com/company/babblelabs/, YouTube: http://bit.ly/2DLYME0. BabbleLabs enhances understanding by people and machines. Through speech science and deep learning, we boost speech quality, intelligibility, and personalization – to power better audio and video services and devices. To learn more visit www.babblelabs.com. © 2018 BabbleLabs, Inc. All rights reserved worldwide. 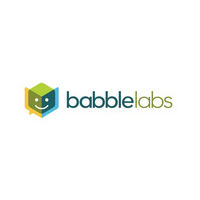 BabbleLabs and the BabbleLabs logo are trademarks or registered trademarks of BabbleLabs, Inc. All other trademarks are the property of their respective owners.